There are many reasons why it is important to maintain the cleanliness of your garden. While regular garden clearance keeps this outdoor space looking great, this practice also helps you avoid having a habitat of unhygienic and potentially harmful pests like vermin and termites, among others. In a previous blog post, we shared some of the efficient ways of garden ways disposal. You can create your own compost pit or pile. You can also dispose of garden waste using the green bins around your neighbourhood. However, many of our past clients can attest to how convenient and practical it is to use skip bins for garden rubbish removal. Major garden cleaning can be quite overwhelming. So, it is important to carefully plan your project to lessen the burden of getting rid of waste. Hiring a skip bin can significantly reduce the effort and time it usually takes to effectively clear your garden. In this article, we will discuss some of the benefits you can enjoy when you opt for skip bin hire services for removing green waste. One of the challenges you will face when dealing with garden waste is storage space. The green wheelie bins that your local council provides are not enough to accommodate the average amount of waste generated by a standard garden. It is true that they are useful when you need to manage daily garden rubbish. However, they can only provide little to no help when you are doing a major garden clearance. This is the reason why skip bins are more efficient in garden clean ups. You will be able to find different sizes of skip bins that are far bigger than standard wheelie bins. This means that you will be able to get rid of your entire garden waste in one go. What you can do is spend half of the day gathering and piling up your green waste. In this way, you will be able to evaluate the amount of garden rubbish you need to get rid of. Consequently, you will be able to hire the bin that can accurately accommodate your entire load. You won’t have to waste money on something that is too big or too small. Another advantage of hiring a skip bin for your garden waste removal is the unparalleled convenience the service offers. You can take several trips to the rubbish tip or you can hire a trailer. However, not one of the aforementioned is as convenient as having your skip bin delivered right at your doorstep. Reliable skip bin hire companies offer practical delivery services. In many circumstances, you can have your skip bin positioned in the most strategic and convenient area of your garden. Now, all you have to do is fill the bin with your green waste. 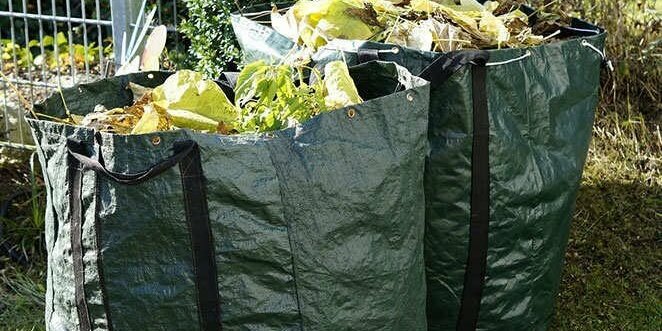 You can save time and effort by having the bin near your pile of garden waste. With other removal options, you would have to transport or carry the waste to another location. Once you have cleared your garden and filled your skip, you can have the bin collected by your provider. This means that you do not have to leave your property just to get rid of your green waste. Some people opt to burn their garden waste. However, such practice can be harmful to the environment. You would not want to be the source of local air pollution, right? The smoke coming from garden fire is worse when the waste is wet. Backyard burning contributes to particle pollution or haze. It has hazardous effects on human health and the environment. It is worth noting that under the Bush Fires Act (1954), it is prohibited to light fires—including garden fire—on days with total fire ban. In many local governments in Western Australia, there are penalties for causing smoke nuisance. If one of your neighbours find your garden fire a nuisance, they can take legal actions. Choose a skip bin provider that offers a range of sizes. Doing so allows you to get the perfect size for the specific amount of waste you’re getting rid of. Maximise your skip bin space by snapping, chopping and folding large materials. Place the lighter waste first and weigh it down with heavier rubbish. Create a compost pile for grass clippings and dead leaves. This reduces your waste load and even gives you healthy mulch for your garden. Sell your logs. There are still some people who still use wood-burning stoves or fires. You can post a sign in front of your home or post an ad on your local community site. When you turn to A’n’K Budget Bins, you can expect convenient green waste removal. Just call us and schedule a delivery and pick up. You can keep the bin on your property for four to seven days. However, if you need it for a longer period, we can make special arrangements for you. You also don’t have to break your back, dumping the waste over the bin. Our skips have drop down doors, allowing you to wheel in your waste. Once you’ve filled the bin, we will drive to your location to pick up your waste. If you want an easy and cost-effective way of clearing your garden, contact A’n’K Budget Bins today. A member of our team will be glad to help you determine the ideal skip bin size for your green waste.